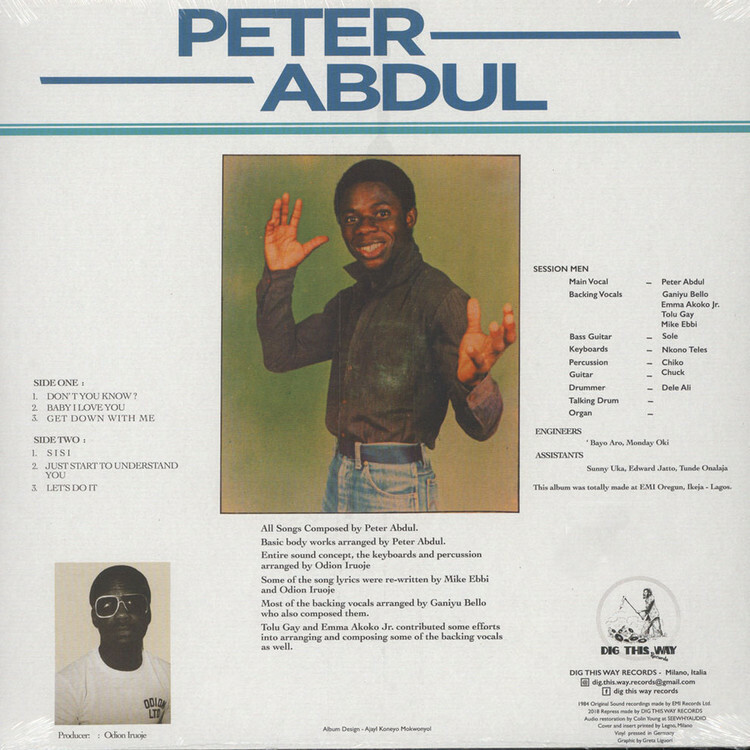 Dig this way records is proud to present its first official reissue: a marvelous Nigerian disco boogie album by Peter Abdul - Get Down With Me. Impossible to find on the original EMI press is now finally back into the market for everybody to enjoy it and make the hips move! 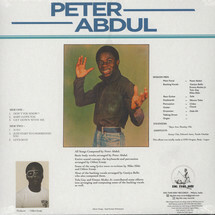 Originally released in 1984 it’s an outstanding experimentation of Nigerian disco boogie - heavily influenced by western artists – played by talented musician that follows with their monster cosmic sounds the tiny and strong voice of Peter Abdul in his only officially released LP. The luck of this work came from the collaboration with Nkono Teles at keyboards ; Sole at bass guitar; Ganiyu Bello , Emmanuel Akoko Jr. and Tolu Gayas as backup vocalists – arranged and produced by Odion Iruoje and assisted by some good engineers like Bayo Aro, Monday Oki and Edward Jatto. All together they created this insane disco- boogie LP.